The World Electric Vehicle Symposium and Exhibition (EVS) is one of the world’s most prestigious and popular electric vehicle events. Organized by the International Electric Vehicle Association (WEVA) on alternating continents every 12 to 18 months, the symposium includes a trade show, technical tours and presentations on cutting-edge electric mobility products and technology. 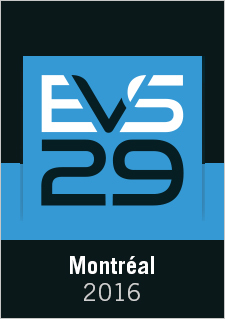 The 29th edition of the International Electric Vehicle Symposium will be held in Montréal, from June 19 to 22, 2016. The event will bring some 2,000 participants from around the world to the city, including top international experts and leaders in the field of electric mobility. Side events include a number of activities for foreign investors to highlight Québec achievements in transportation electrification. Save the date: this is a can’t-miss event!